Blindness was never a handicap for Sheikh Mustafa Gharbi for he was strong-willed to achieve his objectives. 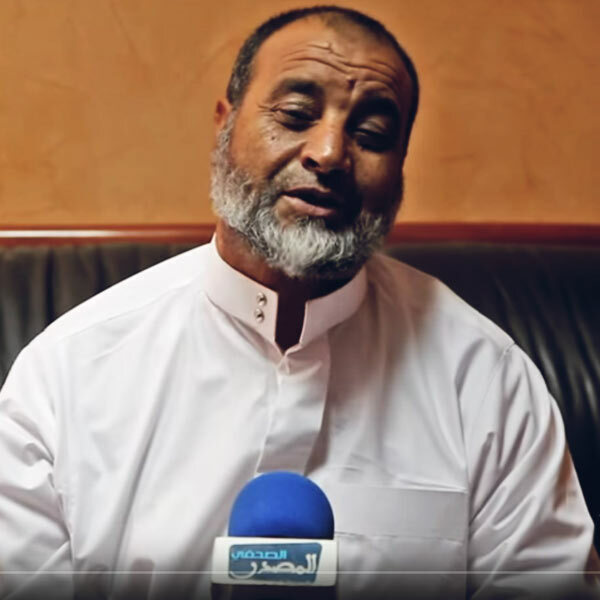 Born in 1964 in Settat (Morocco), he learnt the Quran through listening. However, his reciting style of the Book of Allah verses brought thousands of people to assist to his prayers in Al-Shuhada’s Mosque in Casablanca. Sheikh Gharbi learnt the Quran at the age of 12, which was quite surprising for his family members, given his handicap. However, thanks to his determination, he made his father proud, for he always wanted to have a son who mastered the Quran. It is quite difficult to bring information about his career or his childhood in details. When he became aware his reciting talent, he wanted to be part of a Quran recital competition, aired in the Moroccan national television. However, he abandoned the idea at the last minute. The decision was a great change in his career, as it allowed him to commit to the teachings of the Quran, the art of reciting, which allowed him to excel in the field and to imitate great reciters such as Abdulbaset Abdusamad. Sheikh Mustafa Gharbi’s ultimate aim was to become an Imam and to share his knowledge of Islam with the rest of the world. In 1980, he officially became an Imam and was assigned to work at the Mosque Tarik Bournazil. He remained there for two years then moved to the mosque of Al-Shuhada in Casablanca. For years, his reciting talents reunited thousands of believers to the mosque during the eighties and nineties. Afterwards, he led several prayers in Hassan II’s mosque for seven years. He had a unique approach in guidance and counseling, he always favored wisdom, modesty, preaching of Allah and his mercy as the right way to fulfill a peaceful life. In 2006, he was accused of drug trafficking before being exonerated of the charges.